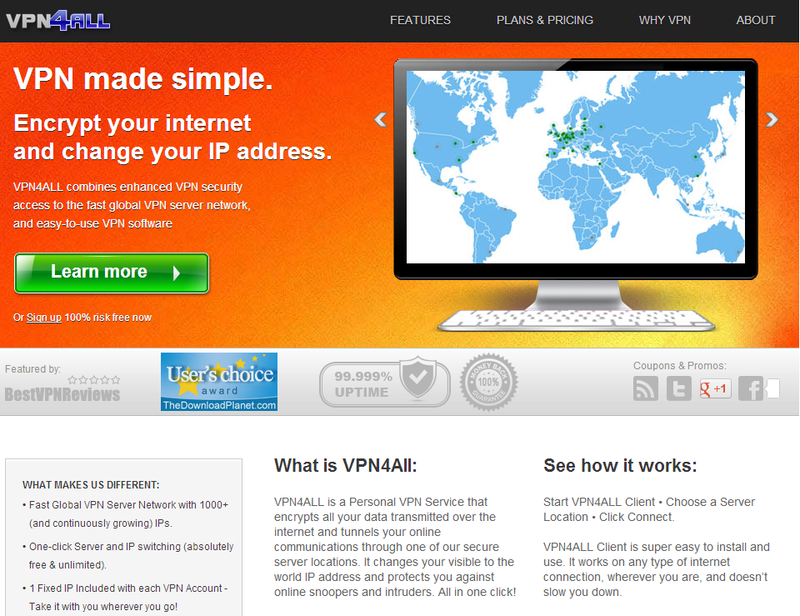 VPN4ALL is an established service provider in the VPN marketplace. Founded in 2009, the service is brought to you by a Netherlands based company that hopes to deliver unrestricted and secure internet browsing experience. 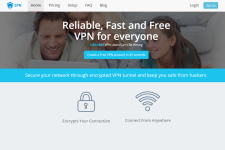 In this honest and detailed VPN4ALL Review, we evaluate the pros and cons of this VPN service and check out its features to help you decide whether the service is worth the subscription price. VPN4ALL has 100+ VPN servers spread across 50 cities in 25 countries. The choice of server locations include countries such as United States of America, United Kingdom, Canada, Switzerland, Russia, Netherlands, Germany, Italy, France, Finland, Spain, Belgium, Portugal, Poland, Ireland, Denmark, Hong Kong, Czech Republic, Bulgaria, Romania, Seychelles, Latvia, Lithuania, Costa Rica and Estonia. 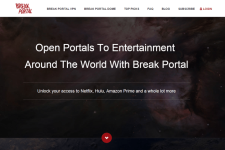 The wide choice of server locations makes it possible to unlock location based services such as Hulu, Amazon Prime, Netflix, Pandora and BBC iPlayer from any place in the world. The company also offers unlimited server switching at no extra cost so you are free to watch local content from a lot of different countries. VPN4ALL offers both metered and unlimited plans with no speed limits. The company has state of the art servers with 1 GBPS dedicated ports and uses smart traffic routing for very high streaming and downloading speeds. This makes it one of the best VPN services to watch IPTV, stream videos, download huge files as well as for VOIP activities. The company also supports peer to peer sharing though its servers located in Germany (1 P2P server), Estonia, China, Bulgaria, Lithuania, Latvia, Russia and Romania. VPN4ALL uses advanced AES-256 RSA 2096 bit encryption to secure traffic passing through its network. This makes it one of the most secure VPN providers that can be used to secure data even from vulnerable public Wi-Fi networks. The company doesn’t log or cache your data so your personal details remain safe at all times. For advanced security, the company provides a fixed IP with every VPN subscription, uses OpenDNS to secure financial transactions and offers an extra layer of security through server based anti malware protection. The enhanced privacy and security makes it possible to use the service to browse the internet anonymously and bypass government firewalls and restrictions without revealing your true IP address. VPN4ALL supports OpenVPN protocol for Windows and Mac systems as well as PPTP protocol for iPads, iPhones and Android based smartphones. The VPN client is easy to install and you can start using it within minutes of subscribing to the service. The VPN client shows available server locations, server load and fastest server available among other details to help you choose the best possible server. VPN4ALL offers customer support through its extensive knowledgebase and 24X7 live chat and email support. The company also offers Teamviewer based support to help those who are not technically proficient. The VPN4ALL 50 GB bandwidth plan starts at $9.95 per month, the unlimited bandwidth plan starts at $16.95 per month while the 5 GB bandwidth mobile plan starts at $5.95 per month. It is possible to save money by subscribing to long term plans (15% saving for 3 month plan, 20% saving for 6 month plan and 30% saving for annual plan) as well as through VPN4ALL coupons. The company has a 30 day refund policy but it is valid only if you use less than 100 MB bandwidth. Overall, the VPN4ALL VPN service is quite reliable and secure. It offers great speed and security with unrestricted bandwidth and supports wide variety of systems through its proprietary software. If you are looking for the best VPN service with some amazing features then make sure to check out VPN4ALL today. For more information, please visit: www.VPN4ALL.com.